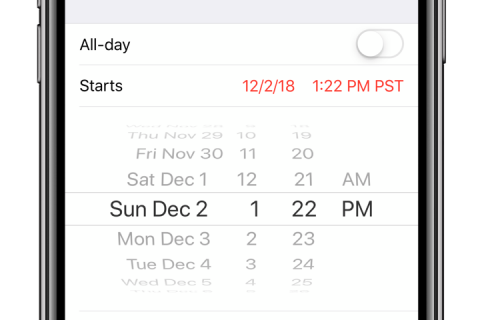 The Today view actually honors your choice of either list or normal view in the stock Calendar app. When you switch to the Calendar’s list view, your daily agenda widget is laid out nicely in the Today view. 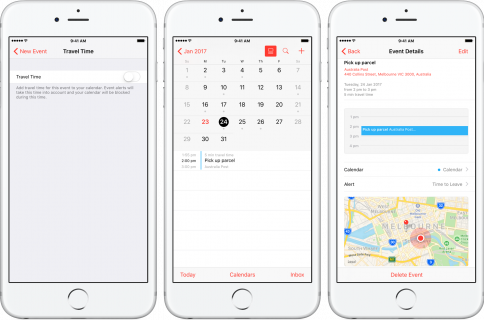 Revert back to the ‘normal’ view in Calendar and Today view adapts accordingly, with the horizontal red line in the Today view (see below) denoting your current time to give you a feel of when the next meeting is up. 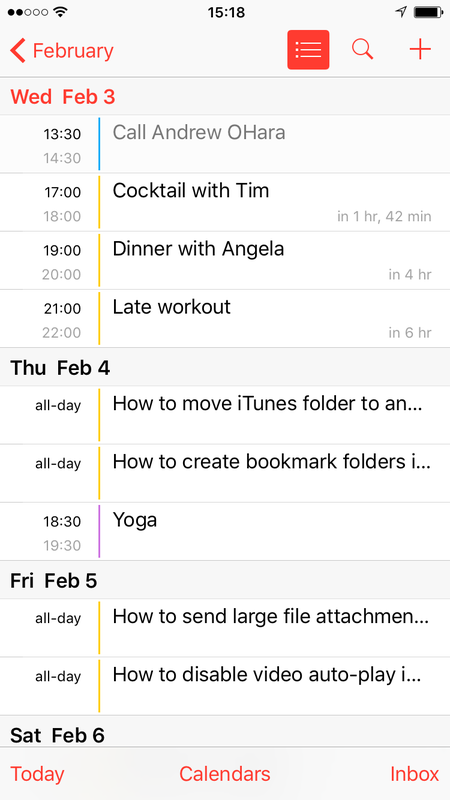 The list view is a feature of iOS that puts up the daily agenda. 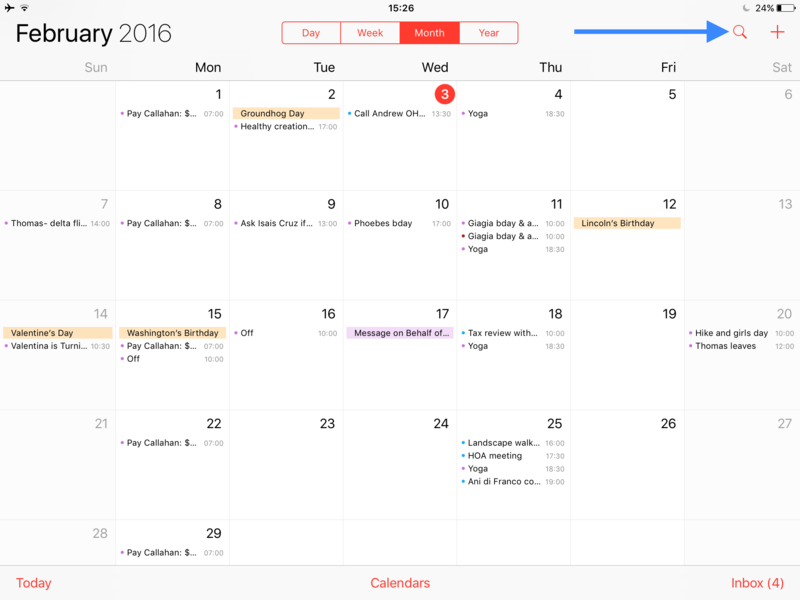 So how do you access your daily agenda in iOS Calendar? 1) Fire up the stock Calendar app on your iPhone. 2) In your month view, tap the Today button at the bottom left corner of the screen until you get to the view where you see all your events for the day per time slot. 3) Now tap on the List icon right next to the Search icon in the upper right corner of the screen. This will bring up the Today list view. 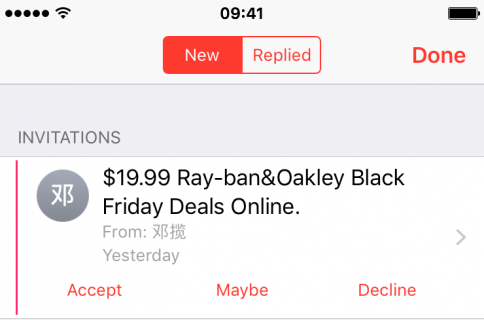 4) You can now add this widget to the Today view of your iPhone where it will display as a list. 1) Fire up the stock Calendar app on your iPad. 2) In any view (Day, Week, Month or Year) tap the magnifying glass icon in the upper right corner. This will bring up a panel with a scrollable list of all events on your calendar. 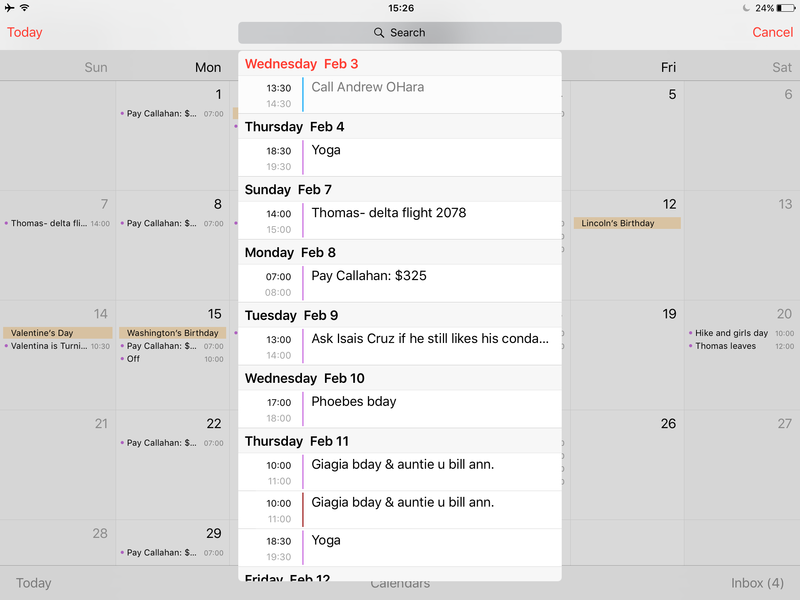 3) You can now add this as a widget in the Today view of your iPad and events should display as a list view. You can use the search field to quickly search for an event, tap the Today button at the bottom to position the list to today’s agenda and tap on any event to edit the details. You have every right to be confused! Apple hasn’t made this obvious enough and the nondescript list view icon is downright counterintuitive. This needs to change and I’m hoping Apple will streamline this feature in future iOS releases. I, for one, really love the ability to quickly glance at my daily agenda, as opposed to tapping on a dot on each day where something was scheduled. 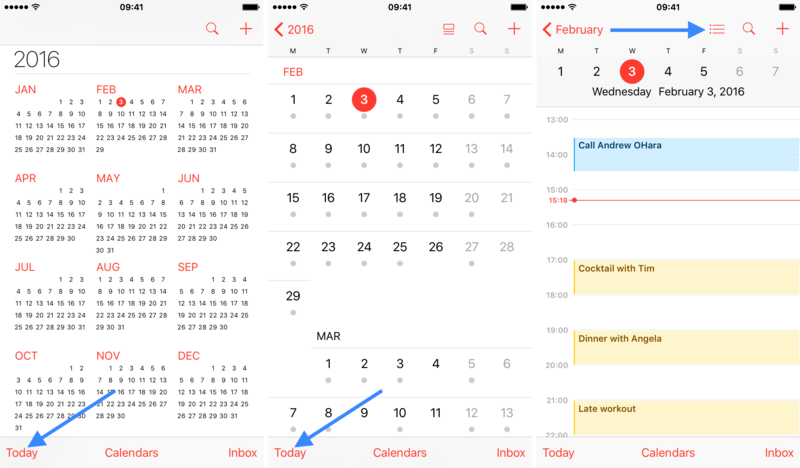 Do you like how the Today view changes layout depending on your Calendar view?